Osiana World is a comic book anthology project produced by the creative minds from within Inspidea. Contained in the 100+ pages of the hardcover book are five shared tales set in an alternate Nusantara universe, each comic beautifully illustrated by the team of talented artists from Inspidea, one of Asia's leading animation studios. The tales inside Osiana World are tied to its central theme of destined heroes of Osiana battling against evil forces that threatens their world and humanity - there's a new take on a classic myth; there are stories of unexpected alliances, and because the team behind Osiana World is very passionate in what they do and there is even a 2-parter comic story starring unlikely heroes taking upon their dark adversaries. 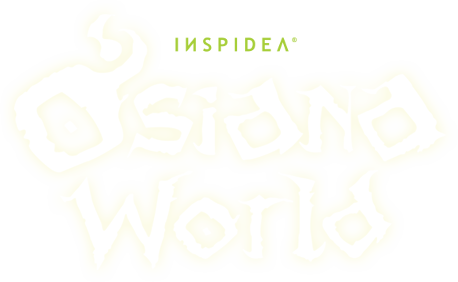 We hope the tales spun by the artists here at Inspidea are able to capture your imagination about what the world of Osiana can be. We are also proud to say, this comic book anthology is 100% printed and produced in Malaysia. To meet the creative people behind Osiana World and to find out what makes them tick, seek them out at Comic Fiesta 2016 at Putra World Trade Centre (PWTC) in Kuala Lumpur, on December 17 & 18, 2016. No world is complete without its visuals, and the rich world of Osiana beckons to be explored! Follow us on Instagram at @osianaworld to have a glimpse of how the artists bring the world of Osiana to life. If you're feeling creative and want to show us your own fanart of Osiana World, add the hashtags #osiana and #osianaworld! We're eager to see what's your rendition of our heroes and villains is. The comic tales from Osiana World may be set in an alternate Nusantara reality, but we have our very own Facebook page in this universe! Come find us @osianaworld to keep up with the exploits of our heroes of Osiana World! We will announce updates on the project in that page as well, so do ‘Like’ the page to keep up with the current on-goings behind this exciting comic book project. Your support in this means a lot to us! For only the price of RM70, as it's a pre-order set, there is limited quantity allocated and the pre-order will officially close by 11:59pm December 16th 2016. 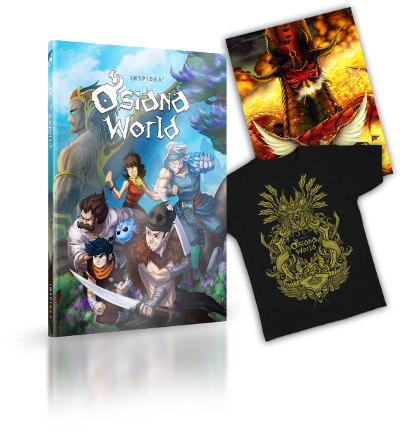 So place your order NOW, to reserve a piece of Osiana World!